1. Go for regular check-ups. Your dentist does not want you to pop into his or her dental clinic twice a year just for nothing – your dentist actually does the job of checking out the state of your gums. Gingivitis is one of the more common dental conditions which patients are afflicted with. 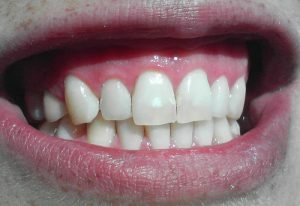 Some of the symptoms of gingivitis include increased tendency for gums to bleed, as well as a conspicuous red and swollen appearance. Your dentist assesses your gums for these symptoms every time you go in for a dental check-up and prescribes the necessary treatment in order to prevent the further development of the problem. Flossing is an important part of ensuring that you have healthy gums but most individuals rarely understand the value of flossing. What flossing does is to remove plaque and other dental debris which may be stuck in between teeth, and which cannot be removed by simple tooth brushing. Plaque is not only responsible for cavity formation but it can also lead to tartar accumulation along the gum line. Tartar has toxic effects on the gums of the patient. Anti-plaque mouthwash has the ability to dissolve plaque as well as prevent plaque from solidifying and converting into tartar. At the same time, mouthwash products often contain alcohol as the active ingredient. The alcohol has the ability to kill bacteria which is found in the plaque matrix and can cause gum infection. If you want to have a more natural alternative to mouthwash, you can opt to make your own mouthwash by mixing lukewarm water with some salt. 4. Learn how to brush properly. If you think brushing vigorously will get rid of plaque and oral bacteria more effectively, then you are very much mistaken. Forceful brushing actually irritates your gums. On the other hand, brushing in soft, circular strokes is better for your gums and is more efficient in the removal of plaque and other dental debris.